I had some cool stuff to show you but the internet is being wonky. I will still draw YOUR DEATH for five dollars. 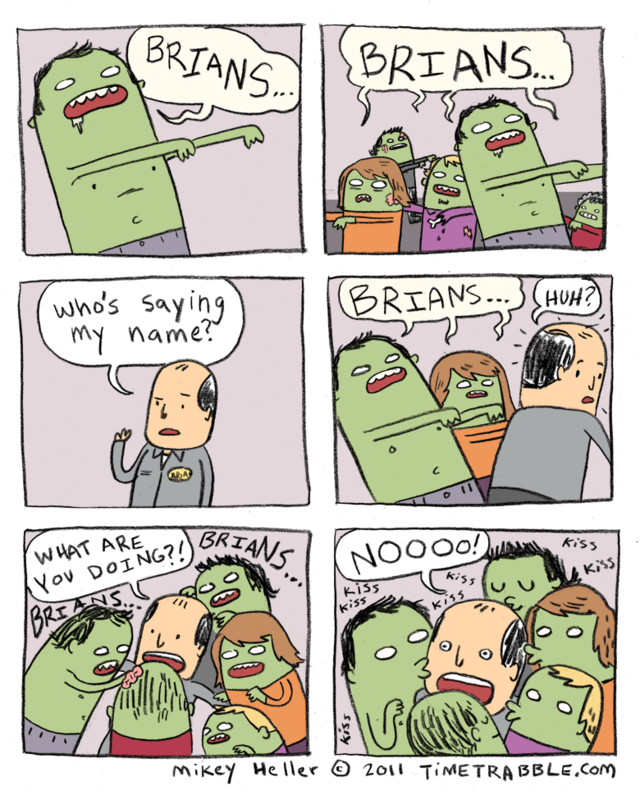 Brian will soon catch the infection: Cooties. This is my new favorite comic. Keep up the good work. I can’t seem to perceive if he’s elated or frightened in the ultimate panel, wine and monocles. Aw man! I just found you’re amazing stuff. I have a feeling we should be best friends bro. Can I draw YOU a comic? I’m probably going to email you in the morning asking you if I can draw you a comic. I got my death drawn for $5 and it was the best thing I have spent money on in so long!~ Mikey, you get an A++. While I might havegotten there before you, your delivery was more awesome BY FAR!